Postcard US-2452337 to Australia shows a historical photo of McCarran International Airport in Las Vegas. American aviator George Crockett first established Alamo Airport in 1942 on the site where McCarran International Airport is today. 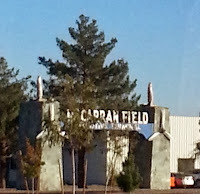 In 1948 Clark County purchased the airfield from Crockett to establish the Clark County Public Airport, and all commercial operations moved from the old Las Vegas Airport (now Nellis Airforce Base). 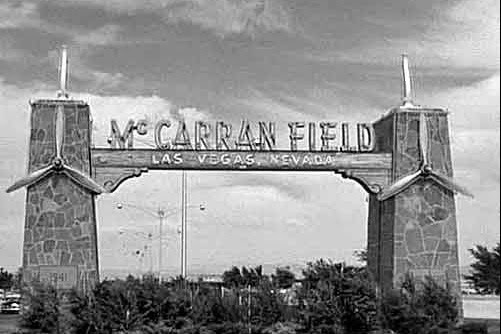 It was renamed to McCarran Field for then U.S. Senator Pat McCarran on December 20, 1948. Pat McCarran was a longtime Nevada politician who authored the Civil Aeronautics Act and played a major role in developing aviation nationwide. However, there was a recent discussion on renaming the airport when Senate Majority Leader Harry Reid considered McCarran unworthy of the recognition because “Pat McCarran was one of the most anti-Semitic — some of you might know my wife’s Jewish — one of the most anti-black, one of the most prejudiced people who has ever served in the Senate,”. 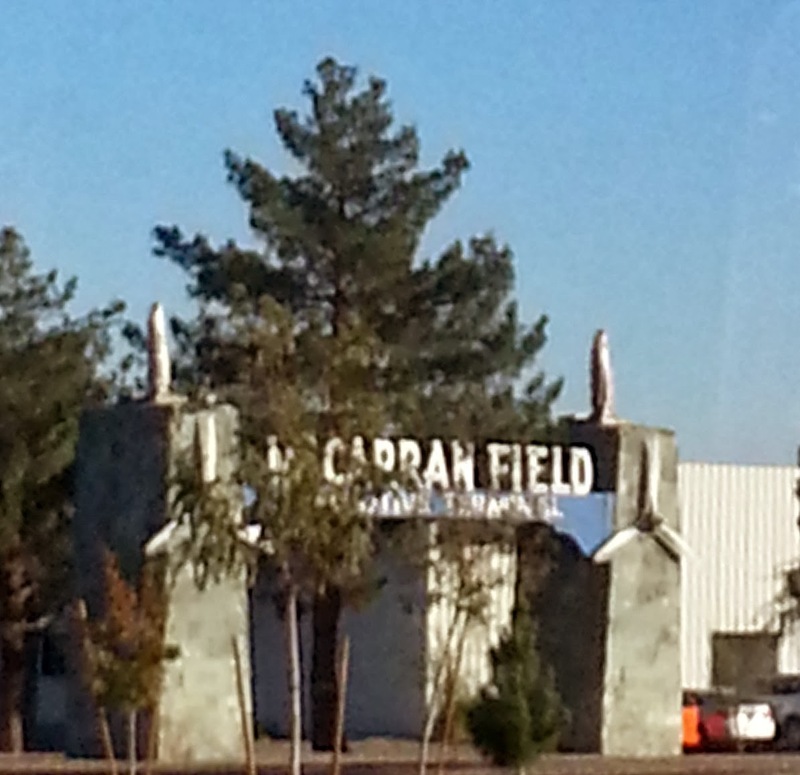 The original McCarran Field sign is in front of the Signature Aviation terminal that serves as an executive terminal.